Goodness Gracie: Happy St. Patrick's Day!! My ye good luck of the Irish be with ye every day of the year!! Love to you and your families across the miles. 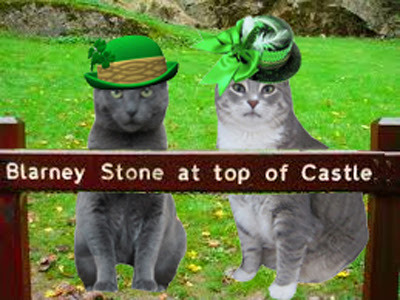 Happy St. Patrick's Day to you and Anya! Hope you ladies have a wonderful and delicious (!) celebration of all things Irish. Happy St. Patrick's Day to you and your family, Gracie! Happy St Patrick's Day! 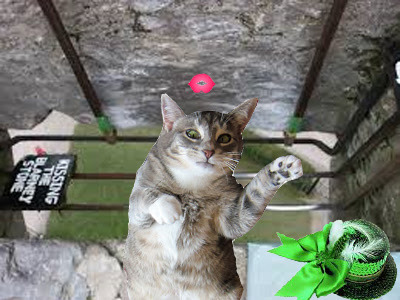 You're so brave kissing the blarney stone! What a fun and happy post today! Happy St. Patrick's Day, may the luck of the Irish be with you all.